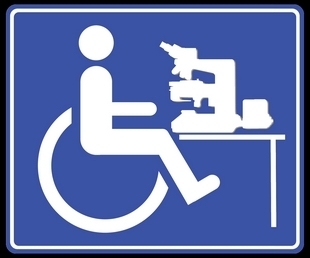 Paraplegia - My Experience: Permobil is Rollin' Again...But For How Long? Permobil is Rollin' Again...But For How Long? I feel like I'm walking driving on eggshells! Saturday September 24th, 2016, ~ 9:00 pm -Permobil power wheelchair breaks down as it can only pivot in circles around one wheel indicating it is not getting power or is inoperative (broken). Problem identical to previous motor breakdown where motor was grudgingly replaced by Permobil U.S.
Monday September 26th, 2016, 08:00 am - Call my wheelchair service provider, Motion Specialties and leave message detailing new problem. Monday September 26th, 2016, ~12:00 pm - Service call returned. Will send service technician tomorrow (Tuesday). Incidentally, Motion Specialties is so overwhelmed with service calls after Shoppers Home Healthcare dumped all their clients onto Motion Specialties. I understand, sympathize and offer my patience. Tuesday September 27th, 2016, ~12:00 pm - Service technician arrives and is well familiar with this Permobil 'piece of junk' that I own. Doe's not bother looking at it in my home but takes it straight to the shop. Will try to get loaner chair for Wednesday. Tuesday September 27th, 2016, ~04:00 pm - Service technician expectantly arrives at my door with my powerchair. Motor power cord was unplugged and plugged back in which appeared to reset the motor so that it runs again. Shows me where, under the rear plastic housing, the cable can be located. If this were to happen again I am to have someone unplug and re-plug the cord connector to hopefully reset the motor yet again. This is good to know and fine if someone is home to help me as I cannot reach that low on the rear of my chair. Currently I am home alone for an extended number of days. Thursday September 29th, 2016 - Chair continues to run but I have no faith in its continued operation. If it cuts out again, I cannot reset it until without calling someone up to come over and do so. 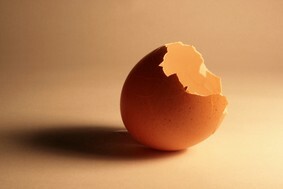 I feel like I'm walking driving on egg shells waiting for the Permobil to break again! Regardless -why did it stop working in the first place? The two identical times this left motor stopped working, I was sitting at my computer with the power still turned on. I drove up to my desk without any indication of a problem but when I tried to reverse, the chair pivoted around the 'dead' motor side. I could only turn in a circle. The chair stopped working when not under any load. After my retirement, this chair has been used exclusively indoors between three rooms, four if you wish to include my tour around the washroom. One floor surface is linoleum type tiles while the other two rooms are a very flat, low pyle carpet -hardly a source of great resistance. So, I currently am riding a Permobil power wheelchair which may stop operating at any time without notice and my service provider does not know how to correct this problem (other than rooting around the cabling and plugging - re-plugging) and Permobil head office in the U.S. cannot care less!! I have almost a year to go before I can replace this piece of junk and you can bet it will not be a Permobil! !